One year ago Thursday, one of the most consequential leaks of classified U.S. government documents in history exploded onto the world scene: The first story based on documents from former National Security Agency contractor Edward Snowden was published. Americans finally knew the spy agency was sucking up virtually all of the data about who they called and when. What followed was a torrent of articles based on the Snowden documents, as well as political and diplomatic reaction. Public debate was transformed by a new level of knowledge about the NSA -- which Snowden himself said was mission accomplished. And in some modest ways Congress, companies and other countries also took concrete action. 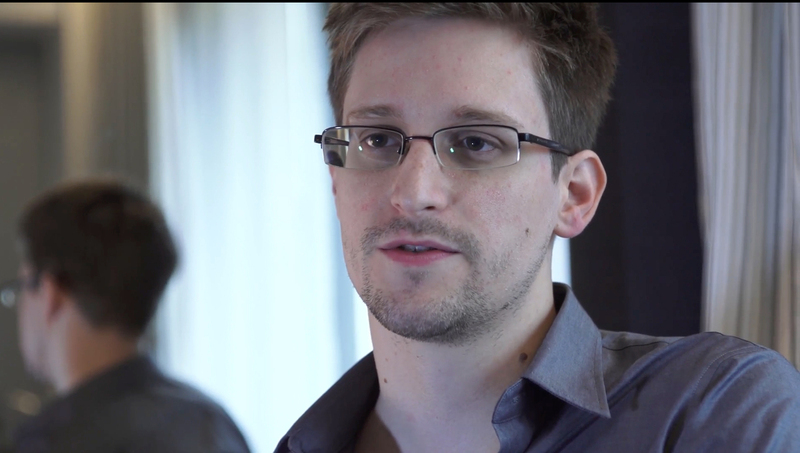 Here are the most consequential reactions to Snowden's leaks. Three months before the Snowden leaks began, Sen. Ron Wyden (D-Ore.) asked the nation's top intelligence official if the NSA collected data on millions, or hundreds of millions, of Americans. "No, sir," Clapper replied. "Not wittingly." By that point, of course, the NSA had quite wittingly been running a massive bulk telephone metadata collection program for years. The government had repeatedly asked a secret surveillance court for permission to do so, and it deemed every American's phone record "relevant" to terrorism in the process. Wyden fumed in secret about Clapper's lie -- but felt he could not reveal it because the metadata collection program was classified. That all changed after the publication of the first story on June 5, 2013, based off a Snowden leak. Days later, Clapper gave the most halfhearted, or perhaps least forthcoming, admission that he had lied: "I responded in what I thought was the most truthful, or least untruthful manner by saying no." Americans were furious about the NSA's sweeping phone metadata collection program. Even the man who wrote the original Patriot Act, Wisconsin Republican Rep. James Sensenbrenner, said the program went too far. So last month the House passed a bill that its sponsors said would end bulk collection. Whether it actually does is a matter of dispute, since the White House and the spy agencies appear to have stripped out many of its toughest provisions. But its passage is nonetheless a clear signal that nobody in Congress wants to look like they're doing nothing about the NSA. In December, U.S. District Court Judge Richard Leon issued a ruling in a lawsuit against the NSA program that said its technology was "almost-Orwellian" and that James Madison "would be aghast." Because other judges in other districts have found differently -- one in Manhattan dismissed an American Civil Liberties Union lawsuit citing the threat of terrorists' "bold jujitsu" -- the program still stands. And it had previously been approved, though behind closed doors, by the special Foreign Intelligence Surveillance Court. But with Leon's ruling on the books, the program could eventually wind up before the Supreme Court. Big tech players had been paying lip service for years to the idea that they protect their customers' privacy. But after the Snowden revelation that the NSA was accessing company servers via its PRISM program, privacy suddenly became a very tangible good. Cloud providers stand to lose $35 billion over the next three years in business with foreign customers afraid of storing their data with U.S. companies. So the companies are responding by adding encryption measures such as Transport Layer Security. Google even announced on Tuesday that it is testing a new extension for the Chrome browser that could make encrypting email easier. If you thought intelligence oversight was weak in the United States, you won't believe how it works with our closest ally. The powerful British spy agencies MI5 and GCHQ had never faced a public hearing in front of Parliament until Snowden's stories dropped. The November hearing was hardly confrontational. But it was a step forward for a country that has generally reacted to the Snowden leaks with little more than a shrug. And that step matters for Americans as well: In April, The Intercept revealed that the GCHQ had secretly asked for "unsupervised access" to the NSA's data pools. 6. Germany opened an investigation into the tapping of Chancellor Angela Merkel's cell phone. On Wednesday, German Federal Prosecutor Harald Range announced that he is opening an investigation into the monitoring of Merkel's phone calls. The investigation is proof positive that the Snowden leaks have frayed some U.S. diplomatic relations, but also that people the world over are starting to take surveillance seriously. In another example of soured relations abroad, Brazil gave a massive fighter jet contract to Saab instead of the American company Boeing. Opinions varied as to how much that had to do with Snowden's leaks, with one government source telling Reuters that he "ruined it for the Americans." One analyst believed, however, that the Boeing jet simply cost too much. The jet aside, Brazilian President Dilma Rousseff was clearly steamed, taking to the podium at the U.N. General Assembly to denounce the surveillance on her. Snowden's leaks also helped propel the passage of an Internet bill of rights meant to protect privacy in the South American nation. In a major speech in January, Obama said he was "not going to dwell on Mr. Snowden's actions or his motivations." But he essentially acknowledged that the roiling, yearlong debate over surveillance would not have happened without him. "We have to make some important decisions about how to protect ourselves and sustain our leadership in the world, while upholding the civil liberties and privacy protections that our ideals -- and our Constitution -- require," Obama said. The secretive Foreign Intelligence Surveillance Court also nodded toward the "considerable public interest and debate" that Snowden's leaks created. And even Clapper acknowledged, "It's clear that some of the conversations this has generated, some of the debate, actually needed to happen." The surveillance court finally started publicly posting some filings from its major cases. And in further acknowledgement of the need for a debate, the NSA and other agencies have posted declassified files to a new intelligence Tumblr -- revealing for the first time aside from Snowden's leaks documentary evidence of the inner workings of mass surveillance.